Work with an Online Coaching Company that actually gives a f**k! My name is Marc Keys and I am as about as awesome as it is possible to be without violating the law [/humble brag]. me then click the button below. to be without violating the law [/humble brag]. If you want to learn more about me then click the button below. Callum Skinner, GB Cycling, Gold and Silver Medalist 2016 Olympic games. ‘Marc was key in my development towards becoming a professional athlete, a springboard that ultimately lead to Olympic Gold. Marc takes pride in seeing his athletes progress. You know that his enthusiasm, commitment and drive matches up to your own. I created this blog and website because I was f**ked off with the current state of the fitness and “performance” industry. 1. You are not talked down to like a child or slapped over the face with marketing speak and hyperbole trying to sell you some bulls**t powder or fitness gimmick. 2. Where you aren’t having needless over complication and overtly “sciencey” sh**e rammed down your throat to help make the Author (aka me) seem smart which would be a pretty f**king hard task let me assure you. It’s hard to sound just smart when you are a motherf**king GENIUS [/humble brag]. 3. A website you can visit and not only learn about how to do things (rather than the theory behind the theory) but also have some fun at the same time. I am me when I am in front of the camera, coaching clients or writing articles and I encourage any of our authors or coaches to be the same. I can help to get you strong, not just strong but strong as f**k, I’m not a one trick pony but I do have a special trick and it’s called getting you gains like it’s going out of fashion. Cast Iron Strength Online coaching isn’t a one to many, cookie cutter take this plan I wrote 12 months ago and this ebook I sh*t out in 23 minutes kind of coaching experience. Every single person that I work with has a different experience because everyone is a wonderful unique snowflake…. I mean we value an individualised approach because that’s what gets results! And if we weren’t good at getting results then we wouldn’t be asking for you to part with your hard earned dollar, Bitcoin, pound sterling or whatever you wish to use as a store of value. What I am here to provide you is an online Coaching Experience, a lot of places will claim to be coaches but what they are in reality is a one to many regurgitation of the same information. Look I am not going to claim that the principals of training or nutrition are going to change from one person to the next because they aren’t however what I do promise is that when we work together you will get my attention and expertise. Callum Skinner	GB Cycling, Gold and Silver Medalist 2016 Olympic games. I have known Marc for around 7 years, he first helped to coach me as a novice Olympic weightlifter at the age of 15. I found him to be very approachable and very understanding of me throughout the years I have worked him. 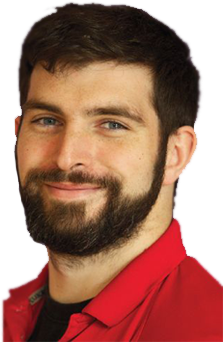 His expertise in powerlifting and weightlifting are second to none, he has extensive experience coaching, programming and competing at a very high level. I found him too be a lot more caring and thoughtful about my progress in my chosen sport of weightlifting than many other coaches have been, I would definitely recommended Marc as any form of strength coach, being that strength and conditioning, powerlifting or weightlifting.